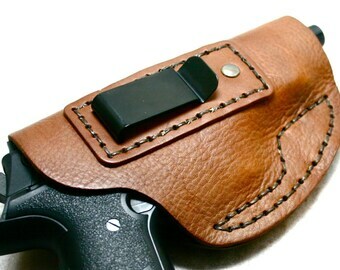 This leather gun holster is for your concealed carry weapon. Formed to a large revolver. Your gun slide in and start to form the leather to your revolver. Fits a belt 1.75" wide. 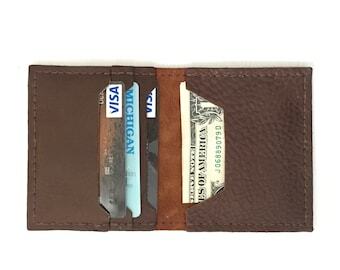 Overall measurements: 6.25" long, 9" wide. 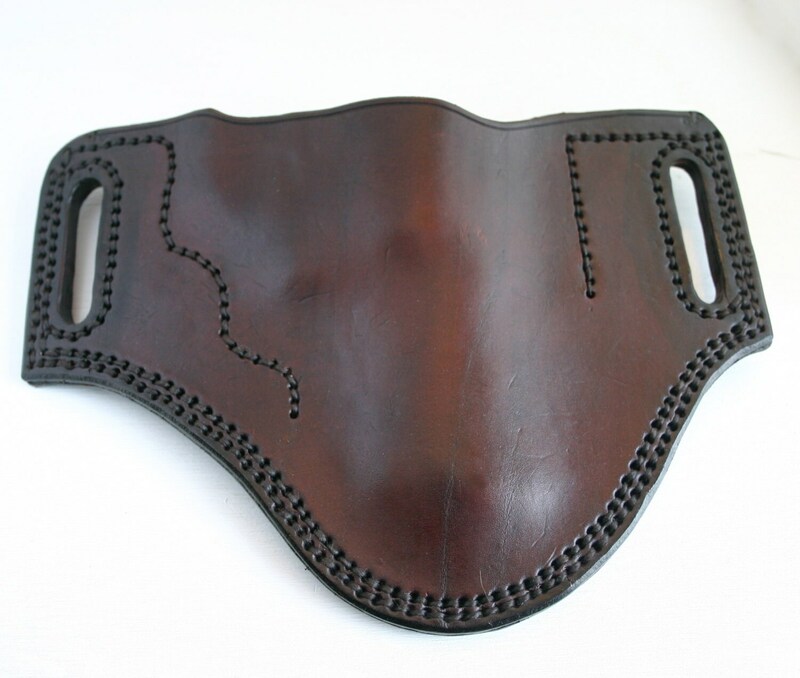 This leather holster has been dyed and hand stitched. Very sturdy! Contact me if you have questions about which guns will fit this holster. This holster is ready to ship!